This isn’t going to come as some big revelation (Lord knows, we’ve had enough of those this week), but there’s only a couple of weeks left of the year. You’re probably scurrying around doing some last minute shopping and tying up your end of the year loose ends. You’re finishing projects and cleaning up you’re accounting. You’re decking your halls and baking ginger bread. That’s why I hate to interrupt your end of the year festivities by bringing up business. You know if I would bother you if it wasn’t necessary. Have you planned your strategy for 2010? Stop rolling your eyes. I know It’s late and last minute now, but it will be even more late and last minute in a few weeks. The last thing you want to do is dive in head first on January 1st. Hopefully you already put a plan of action into place. If you haven’t let me give you a few things to consider during these last days of 2010. If you’re here to learn about freelance writing or advance your career, you’re interested in learning how to increase your business and earnings in 2010. If so, it helps to set goals. Where would you like to be at this time next year? Listing your goals and making these goals a part of your regular routine will help you to remain focused on the prize. What kind of goals should you set for the new year? Keep your eye on the prize. How much more would you like to earn in 2010 than you do now? Take a piece of paper and a Sharpie, write down the amount you wish to earn by the end of next year in big bold letters and pin it to a bulletin board or somewhere it’ll catch your eye as you work. Every time you lose focus you’ll see that sign and remember your goal. It’s not enough to want to earn more if you don’t have a plan in place. How will you arrive at the amount? What steps do you need to take to achieve that goal. What kind of writing do you want to do? Do you want to branch out from what you’re doing now? Do you want to freelance for a particular brand or company? Have you had your eye on a particular magazine or online publication. Make that list. Outline all the places you wish to work and all the writing you wish to do. Now create a plan of action under each name on that list. If it’s a magazine, research the market. Read several back issues. Learn what they’re looking for and find all the necessary contact info. If it’s a business find out if they hire freelance writers. Research the business to ascertain their wants and needs. See if you can establish contact information for the person who hires writers. Decide how you will pitch to this potential client. If this is a website or online magazine you enjoy reading, familiarize yourself with their content and list the ways you can add to the content and benefit the site. Work on an email pitch. If you are raising your rates, consider how you will approach your clients to give them this news and what you will do if they refuse to pay more. All those that stuff I said up there about researching and lists? It means nothing if you forget about it all tomorrow. Put your goals and the steps you need to take to achieve your goals on your calendar. Each week add a new item, for example, “Go to the library to research new magazine markets” or “contact XYZ company to learn their policy on hiring freelance writers.” Fill out as much as your calendar now as you can. When your goals are written into your calendar, you’re more likely to take these steps and put them into action. Whatever you do, don’t put it off. Don’t click out of your outlook or keep pushing it back on your calendar. Make your action items as iron clad as your deadlines. Read everything you can that will help motivate you to achieve your goal. 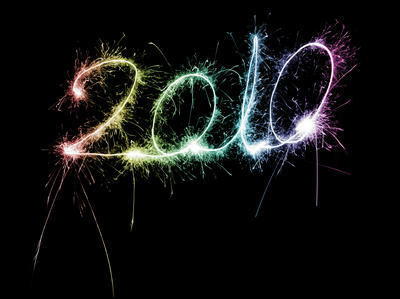 How will you put your plans in to action for 2010? Thanks, Deb–I need (to do) this (badly). Happy Holidays! thanks Deb. I need to do a whole lot of planning, because my writing is at crossroads and I need to decide how I’ll take it in a new, better direction. Almost at the end of 2010 and I’ve only just read this article. It would be interesting to know how many followed your advice and reached or exceeded their goal.